Dr Jaime Delgadillo, lead researcher behind the Outcome Feedback study, talks to Victoria Zamperoni from the Mental Health Foundation about how technology built in to PCMIS is able to identify when patients are at risk of being 'Not on Track' with their treatment. Jaime Delgadillo sat down with the Mental Health Foundation team in October to discuss the findings of a national research trial and the clear benefits of using prediction graphs as part of routine psychological therapy treatment for depression and anxiety. If you're interested in predicting treatment response, ways to improve psychological therapy treatment, or how technology can support therapists to achieve better outcomes for patients, this Podcast is definitely worth a listen! 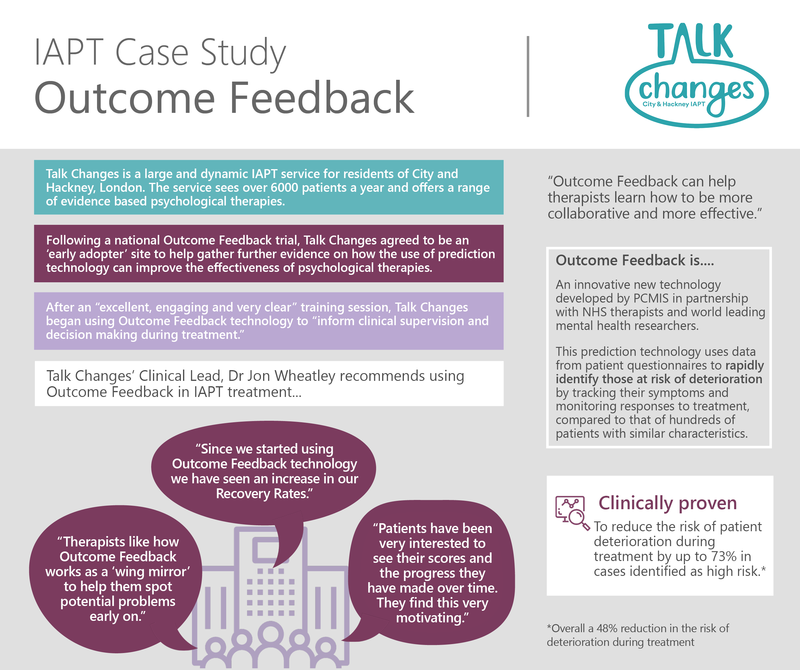 PCMIS are currently working to roll out Outcome Feedback to all of our IAPT services, to ensure that as many people as possible benefit from the use of this technology as part of their treatment. If you would like to find out more about how you can implement this technology, contact PCMIS on 01904 321 322. If you would like to find out more about how you can implement this technology, contact PCMIS on 01904 321 322.